A small group that releases horror manga, including authors like Junji Ito, Kazuo Umezz, Kanako Inuki, and more. Here’s chapter 2 of our new series. This story has 2 parts so you guys wait for the next chapter for the sequel of the story. The download link was removed, probably the filename triggered the spam/violation system, please reupload it. Great release! The mediafire link is down. Hello to our readers! We are Slug Chicks! 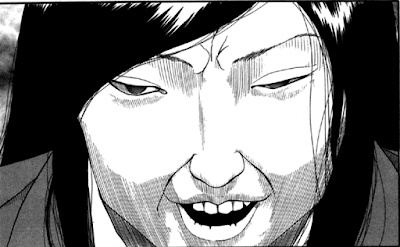 As you all know, Slug Chicks is a non-profit group that translates works mainly by Junji Ito. However recently we have expanded and taken on a variety of other horror manga, including works by Nakayama Masaaki, Kazuo Umezz, Kanako Inuki and more.